In 2017, tech world witnessed a myriad of innovations and breakthroughs. Chatbots, Social Commerce, and Predictive Analytics entirely redefined the online shopping experience of the consumers and also helped marketers create omni-channel campaigns to attract more customers. 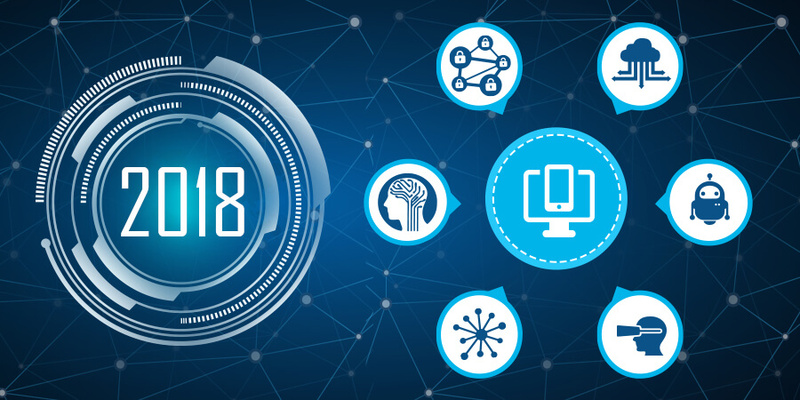 Innovative technologies are likely to gain momentum and 2018 could see a big revolution in AI, blockchain, digital twins, IoT, and conversational platforms. 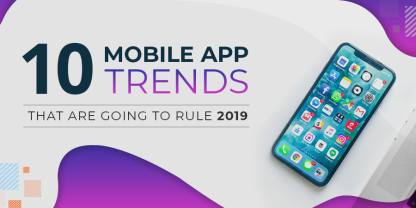 In this blog, we are discussing 6 such technology trends that have potential to impact the businesses by leaps and bounds in the times to come. Blockchain has been the talk of the town in 2017 and it will continue to take the world by storm in 2018. Blockchain is a distributed ledger that records transactions, connects them to other nearby transactions, and securely encrypts the information. Blockchain offers identity authentication through a visible ledger, thereby reducing cyber risks. This technology is redefining the way online transactions are done. Moreover, blockchain will enable customers to monitor the process from end-to-end and verify the products. This technology is anticipated to address the pain points of the eCommerce industry by enhancing integration with business processes, cost-effectiveness, coherence, and transparency. 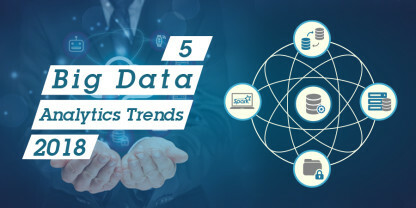 Digital twins serves as a channel that provides a strong way to track and respond to changes in order to connect the real world with the digital world. Digital twins is a digital replica of systems, processes, and physical assets that can be used to add value in operational efficiency. Digital twins has strong potential to achieve better insights and drive better decisions by offering new ways to decrease downtime, optimize maintenance, monitor assets, and reduce costs. According to Gartner, digital twins will exist for billions of things by 2020, with an estimated 21 billion connected endpoints and sensors. The immersive technology market is swiftly advancing and transforming the business outcomes. Immersive technology is an amalgamation of Virtual Reality (VR), Augmented Reality (AR), and Mixed Reality. In 2018, this technology is expected to revolutionize the way people collaborate with the digital world. Immersive technologies, when combined with conversational platforms, enhance the user experience. As per the predictions of Gartner, by 2019, immersive technology will be evaluated and adopted by 20% of large enterprise businesses. 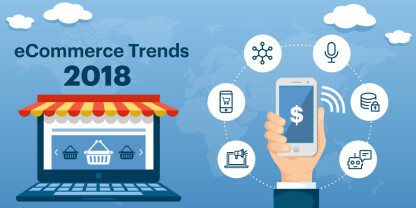 Artificial Intelligence (AI) is going to be the next biggest frontier in the eCommerce industry in 2018. AI lets businesses to perform data processing, analyze big data, get real-time insights on market conditions and business performance, and create strategic decisions on the basis of these insights. As per the projections of Gartner, by 2020, 85% of customer interactions will be managed by AI-enabled chatbots. The global market for AI is expected to reach $1.5 billion by 2019. AI is also believed to help enterprises gain loyal customers by providing them security against online frauds. Conversational platforms are expected to bring a paradigm shift in the eCommerce industry in 2018. Conversational technology will help eCommerce organizations to grow in real-world environments, create a new dimension in the way people interact with machines, and improve customer relationships with a brand. Moreover, enterprises will be able to get insights into their customers’ preferences and help them in purchasing decision. Edge computing enables businesses to process the data closer to the source of information and edge of the network instead of sending it back to the cloud or data centers for processing. This reduces the communication bandwidth and eliminates the latency between the cloud and sensors, enabling businesses to analyze data in real-time. IDC has predicted that the IT spend on edge infrastructure will reach 18% of the total IOT infrastructure spend by 2020. The market size for edge computing is also anticipated to grow at a compound annual growth rate of 35.4 percent from USD 1.47 Billion in 2017 to USD 6.72 Billion by 2022. The world is moving towards Digital Transformation (DX) and the emerging IT technologies are supposed to have a great influence on the digital journey of the enterprises in 2018. The only way to stay competitive is to invest in technologies that keep you scalable, flexible, and connected.